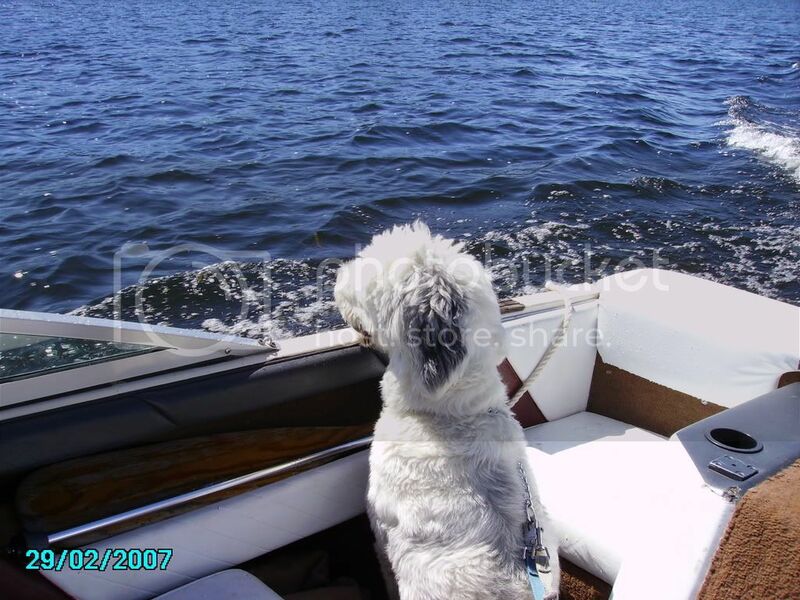 Any other Old English Sheepdog owners out there??? 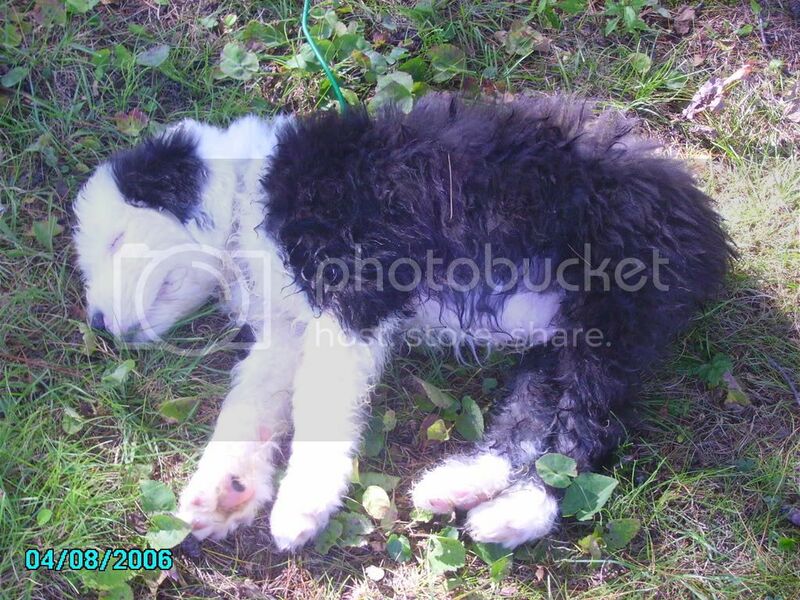 Re: Any other Old English Sheepdog owners out there??? Yes...I have 4OES. Bailey, Gilligan, Vaughn and Rylor. Great dogs although having so many dogs romping along together they kind of get into mischief way too often. I have had OES since 1975. I had my first litter last summer (the result is Vaughn and Rylor) 3 other puppies went to new homes which I luckily still get to see. Yes, I love this breed. (despite all the grooming) they just never seem to grow up! I will look forward to hearing from other OES owners out there from time to time! Hi everyone. I am new to this site. My name is Wendy Theisen-Halsey and I have 4 OES. They are all nutty and amusing and keep my family and I laughing all the time. That is even despite eating wallets, cell phones, the mouse off my computer and recently ...the drywall in my laundry room. Despite that, I wouldn't have any other breed. I have had OES since 1975. Certainly welcome any questions about their antics! Looking forward to hearing from you all out there! Oh WOW me too! My family and I really wanted an OES we own a great Pyr and are familar with giant breeds and NO ONE would sell to us or let us rescue because we have a 2yr old daughter! I actually had one rescue say to me "If you value your daughter's life" I wanted to slap her OF COURSE I value my daughters life! What a horrible thing to say! Then I was watching Westminster and as the OES segment was on the announcer comments how wonderful they are with children! I fell off the couch! I thought it was just me and maybe OES people just didn't like Pyr people or something weird like that or the Westminster Host had NO CLUE what he was talking about! Dianne McKee Rowland- I have a question for you... I grew up with many sheepdogs and we loved them. My husband and I thought of getting one and I went to shows, talked to breeders, gained info, read, etc...plus I grew up with them and thought that I knew a lot. I could not find a single breeder that would sell me one, nor would RESCUE work with me. They all said the same thing that my kids need to be over 10 and that the breed has changed since the 70's when I was growing up with them. (My kids are young 3 and 17 months...howev er, they are very good and we would NEVER put up with hair pulling, eye poking behavior towards the dogs...maybe they thought I would, and that was why they wouldn't sell to me. They all said that they have had too many instances of them nipping kids to correct, as they are herders, etc. What is your opinion on this? I would love to kow as you are a breeder and have much experience with the breed. At anyrate, we have 2 shih tzus and a Bernese Mountain Dog that are royalty and they are all GREAT with my kids and my kids are GREAT with them. But, I still dream of an OES and am reminded of them when we visit my husband's frien who has 2 very cute and well behaved boys. 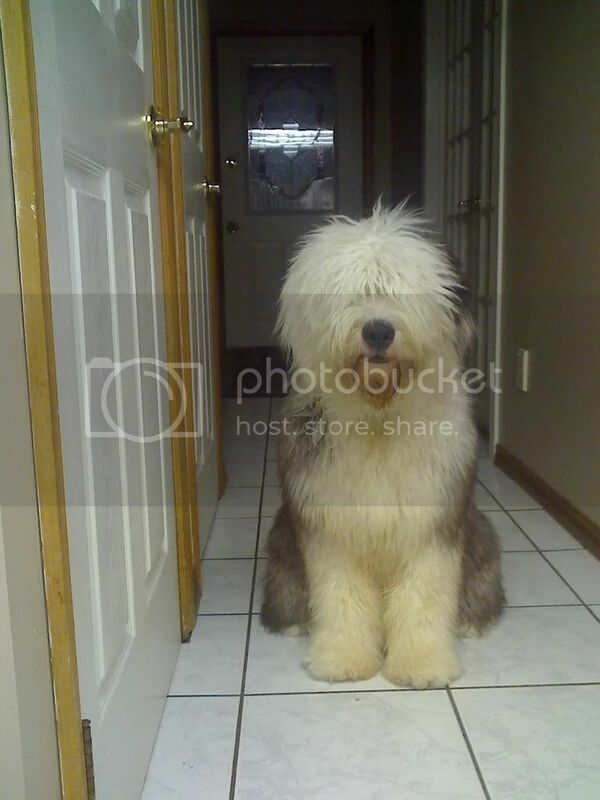 I just joined this site, and already ,seem to like it very much.We are owned, by 4 OES.There is no, other breed like it.We have had OES in our lives for the last 19 years.All of my children, have been raised with a sheepdog.Now my grandchildren, are being raised with them, as well.With any large breed dog or any dog for that matter, you have to supervise the children and puppy till they both know how to handle each other.Anyway, we just adore our sheepdogs and they are truly clowns in a furcoat. This is Spartacus and his funny brother,trying to imitate his favorite bud.Spartacus is from our Shaggy and Chloe.He is a doll and just the funniest and sweetest sheepdog.We are proud of each and every one of our babies. Also I Understande they don't Shed as other's large Breed, I was told but i use sup, help's a lot oil vit,s one thing that i found works great after shamping mouse,you put on rub,it in,get out the dandra,dust lift out the under coat that is what you what to Go!! !It is amaxing,and the coat will be so Nice Clean !Try it no sheding marylee!!!! I love the pictures!! I grew up with an OES (Expo) and I loved that dog so much!! I cannot imagine why this would become a stereotype of this breed, there were 4 of us (kids) and Expo was never anything but gentle! Please give us some more pictures of your furbabies! My Old English 'Alex' was 5 yrs old when my son was born. He let Ethan land on him when he started climbing out of his crib and my son learned to walk by holding on to Alex's fur. When Ethan was a toddler, Alex was a great outdoor babysitter-herding Ethan back to the center of the yard. So for me OE Sheepdogs are perfect for children! It's my first, but my husband had one in Scotland when he was growing up. Is this your only sheepdog or have you had others before? Old English Sheepdog. Any others out there have a sheepie? I think they're great big furballs, and have wonderful temperaments!